Bartolomeo Gamba was born in Bassano del Grappa (Vicenza) and spent the majority of his life in Venice. He became manager of the Remondini press in 1787 and, under his direction, the press intensified its commercial ties to France, Spain, and Portugal. 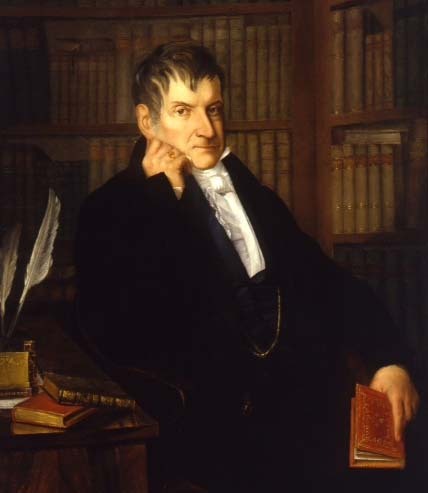 In 1811 Gamba moved to Milan, where he became personal librarian to the viceroy of Italy, Eugène de Beauharnais, before returning in 1812 to Venice and working as censor for the Austrian authorities until 1830. This was the year in which Gamba was appointed sub-keeper of the Biblioteca Marciana, a position he retained until his death. The Bartolomeo Gamba Project, under the guidance of Dr Vittoria Feola, was the fortunate recipient of generous funding from both the University of Padua, DiSSGeA (€40,000) and the Medical University of Vienna (€12,000), and Dr Feola cannot thank these two institutions enough for their crucial support, and The Gerda Henkel Foundation made available a significant grant of €15,500. The Cultures of Knowledge project made available £1,000 during its second phase of funding from the Andrew W. Mellon Foundation, half of which was a direct contribution towards manuscript imaging costs. In the course of her work on this project, Dr Feola was awarded a COST STSM award totalling €2,000. Dr Feola would like to extend her thanks to Professor. Giovanni Silvano, Professor Gaetano Thiene, Professor Giovanni Fontana, Professor Maurizio Rippa Bonati, Dr Fabio Zampieri, and Dr Alberto Zanatta (DiSSGeA and Humanistic Medicine, Padua University), all of whom have supported and helped to establish the Bartolomeo Gamba Project. Special thanks are due to the staff of the Austrian National Library, particularly to Dr Andreas Fingernagel, Director of the Manuscripts Department, for supporting so enthusiastically the Bartolomeo Gamba Project from its inception, and for agreeing to provide scans of the first batch of 400 letters to set the project in motion. Dr Christiane Druml, Vice-Rector of the Medical University of Vienna, has been most generous in providing a Werkvertrag for the first year of the Bartolomeo Gamba Project, without which nothing could have been achieved. Particular thanks are extended to Dr Stefano Pagliantini, Director of the Manuscripts Department of the Biblioteca Museo Civico, Bassano del Grappa, for his welcome enthusiasm about the Gamba Project and for offering, free of charge, scans of the thousands of letters in Bassano. The staff of the Biblioteca Nazionale Marciana in Venice have been particularly supportive and Dr Giuseppe Campana, Archivist of the Marciana, has provided Dr Feola with fast and easy access to the archival material she wishes to consult, something which is most appreciated. Bartolomeo Gamba spent his life among books and bibliophiles, something reflected in his personal collection of the correspondence of eminent Italian scholars. The collection he assembled amounts to a total of about 4,000 individual letters, and common themes that may be picked out from the content of these letters include book purchases, book exchanges, and discussions of current French and English editions. While serving as an army officer, Count Moritz von Dietrichstein (1775–1864) had spent two years in Paris in the late 1790s. Once Prefect of the Imperial Library, Vienna, in 1832, he began to reform it along the lines of the Parisian model (under Napoleon, the Imperial Library had undergone rationalization of its collections at a time when letters of eminent scholars of the early modern period began to be highly prized) and he bought a large collection of letters of eminent men and women of the early modern period from Bartolomeo Gamba, vice-keeper of the Marciana Library in Venice. On the one hand, the purchase of this collection provided von Dietrichstein with a huge pool of letters to and from Italian scholars; on the other, he acquired the correspondence of hundreds of professors or alumni of Padua University, amongst whom many were connected to the early modern Viennese court physicians. The original plan had been that von Dietrichstein should buy around 4,000 letters, that is the whole of Gamba’s own collection. Due to library budget cuts, however, he ended up with ‘only’ 1,350 letters, and the remaining letters that formed part of Gamba’s estate were sent eventually to what is now the City Library (Biblioteca Civica) Bassano del Grappa. The first aim of the Bartolomeo Gamba Project is to ingest metadata into EMLO for all the letters that formed part of the original collection, circa 4,000 letters in total. As most were written by professors or alumni of Padua University — the majority of whom were physicians — their relevance to early modern science and to the Republic of Letters cannot be overestimated. The second aim of the Bartolomeo Gamba Project is to produce scholarly publications which will analyse the context of formation of the collection in Venice, its split between Vienna and Bassano, and its subsequent afterlife. The main importance of the Gamba collection lies in the amount of data that may be extracted about the penetration and functioning of the English and French book trade in Northern Italy, including Tuscany, from the second half of the sixteenth to the first half of the nineteenth century, and the content of these letters supply scholars with primary evidence about a wide range of subjects that include, amongst many others, the book trade, the formation of the modern state, church-state relations, the relationship of antiquarian practices to the rise of science, and early modern scientific academies.